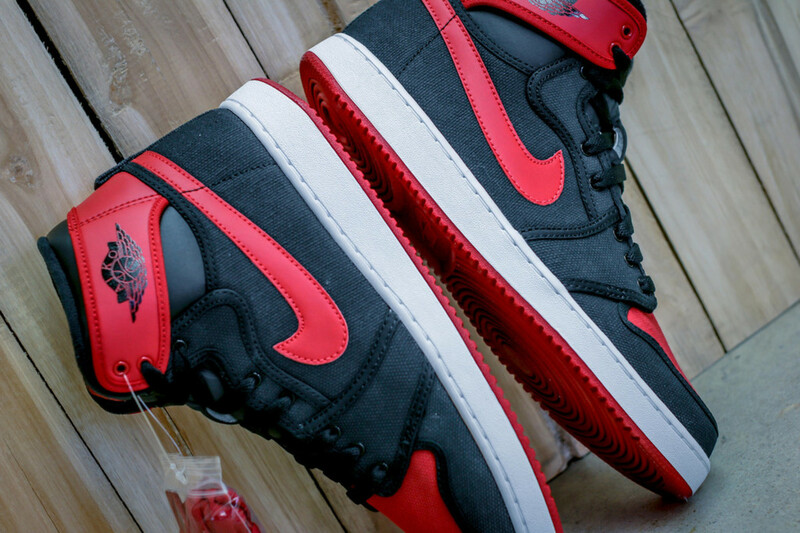 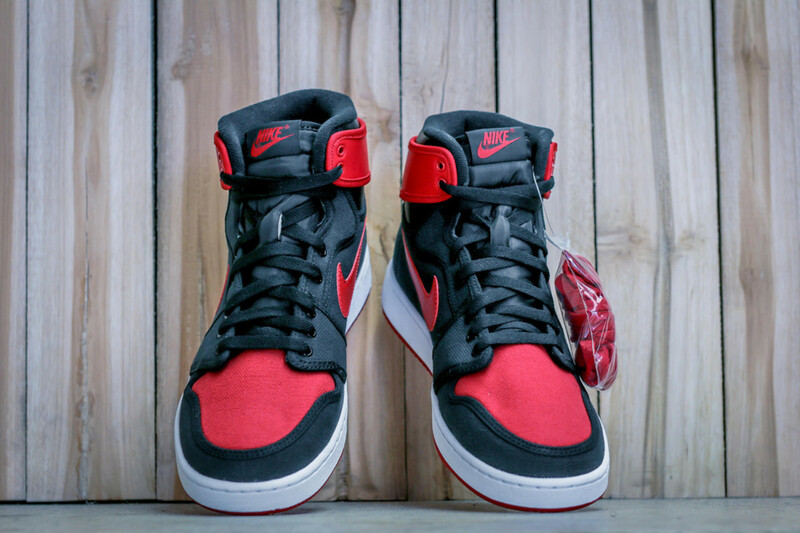 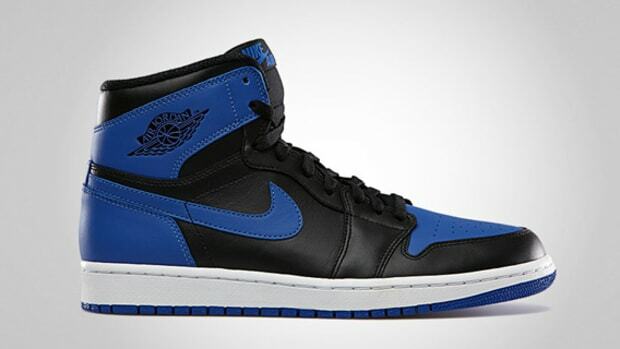 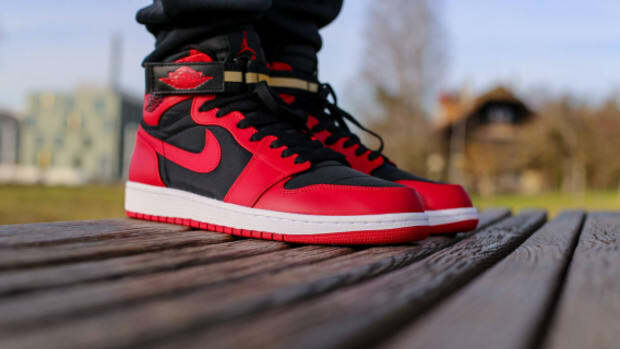 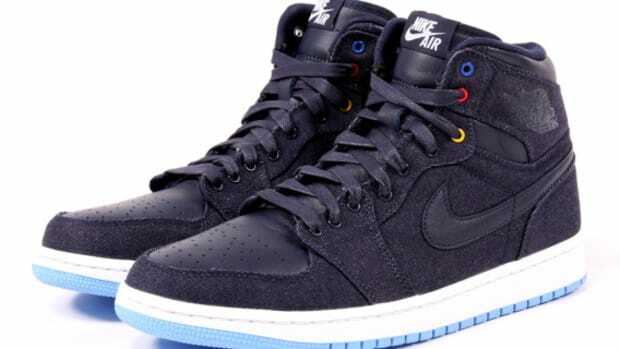 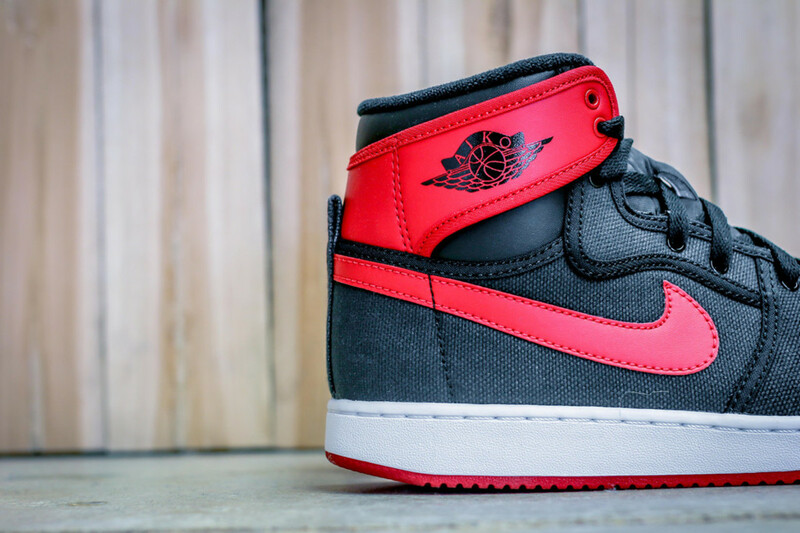 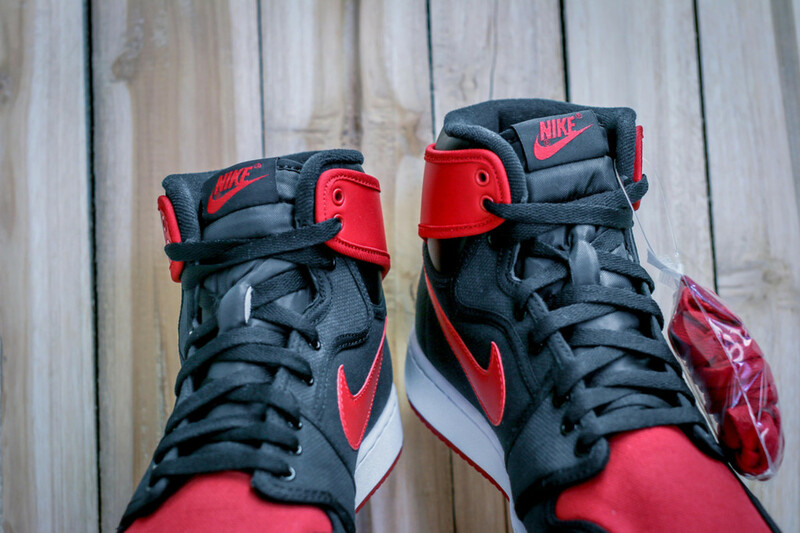 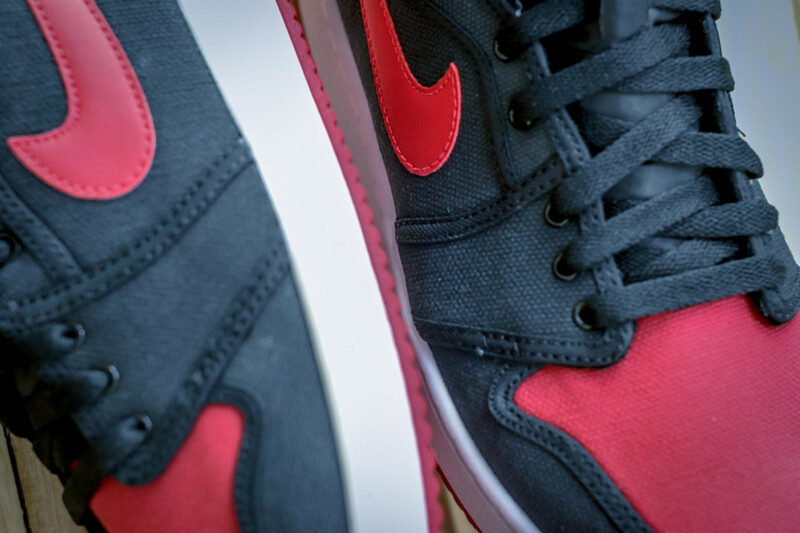 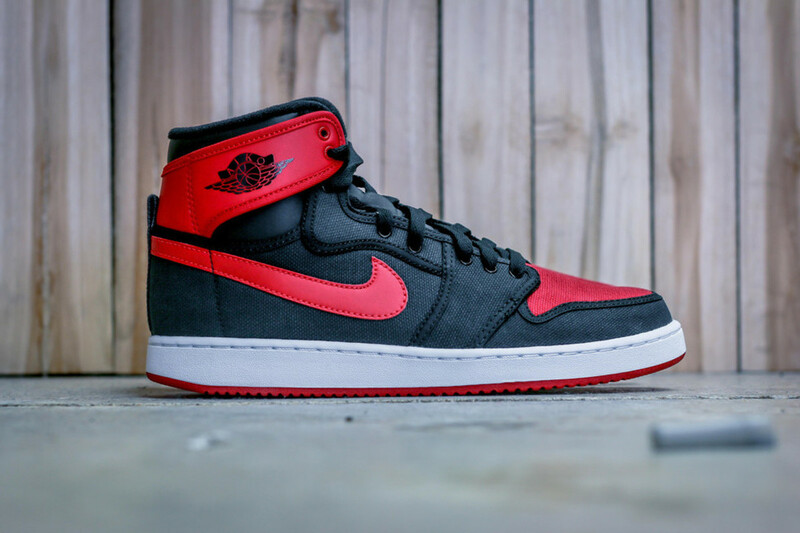 2014 was a banner year for fans of the Air Jordan 1 KO, with the canvas-clad high-tops launching in White/Black-Gym Red and Black/Sport Blue colorways, as well as the two-piece “Rivalry Pack.” A year later, the classic Black/Varsity Red style is set to join the fray, featuring the unique canvas build accented with leather detailing on the signature Swoosh and wings. 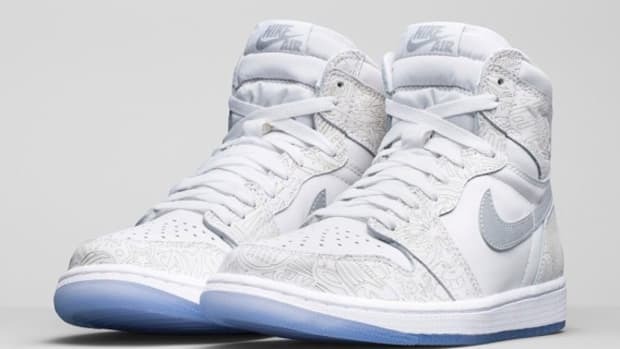 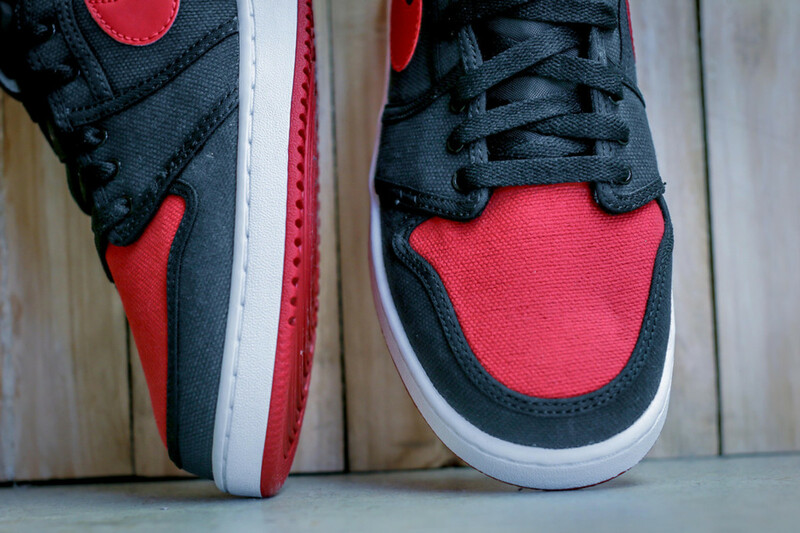 A clean white midsole and Nike branding on the lightly padded nylon tongue complete the look. 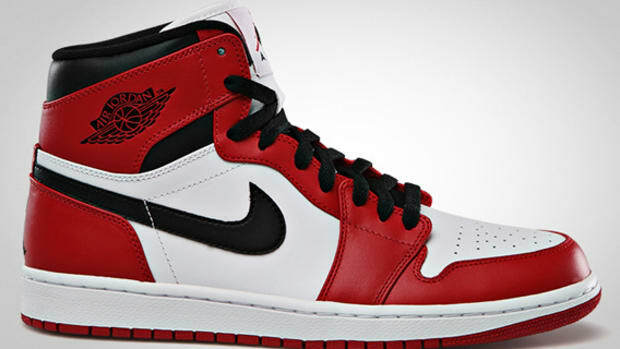 Expect the kicks to launch August 8th through select Jordan Brand retailers, including Rock City Kicks. 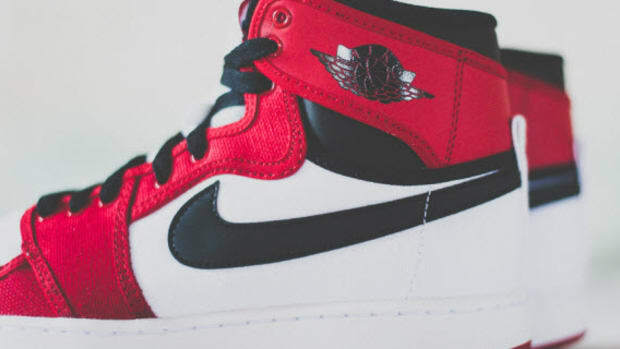 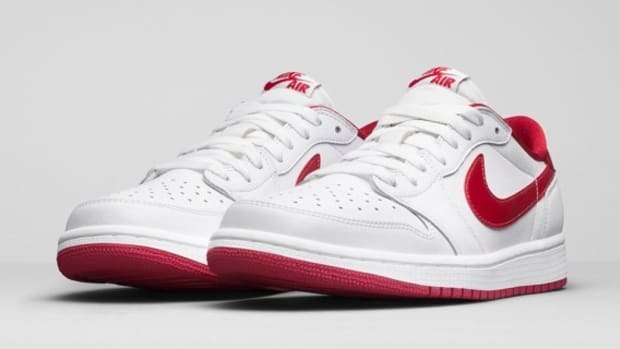 Air Jordan 1 Retro Low OG "White/Varsity Red"
Air Jordan 1 High Strap "Black/Gym Red"